The fox thought first of one way, then another, and while he was debating the hounds came nearer and nearer. At last, the fox in his confusion was caught up by the hounds and soon killed by the huntsmen. Experienced readers refer to plot, setting, character, and point of view when discussing literature to appreciate deep, rich storytelling. What do you know about the character traits of the fox and the cat from this story? Support your answer with evidence from the text. Thoughtful readers will often draw conclusions beyond the facts stated in the story. Inferring based on reasoning and experience helps make a story or work of art more meaningful by looking for clues about the author's or artist's mindset. What inferences can you make about the kind of people the fox and the cat would be if they were human? What evidence from the text supports your inferences? Experienced readers can often identify a theme (the meaning, feeling, or message) or concept (a philosophy or outlook about how the world works) that may be stated clearly or left hidden by the author for readers to discover. How does Aesop illustrate or communicate his concept of "success?" Does he prefer the fox's way or the cat's way? What evidence do you have to support your answer? When we share our thoughts about reading, our ideas, organization, supporting details, voice, and use of conventions help other readers understand our message. finally, restate your observation about the theme in a concluding sentence. A SPARK Jacob's Ladder exercise to help you get the most out of the literature you read. Every night I open my tin box and examine the clay marbles that my little friend Aleksei and I used to play with. As I hold them, I hope the rumors are not true. The Romanoffs must be alive, especially my little friend Aleksei. I remember the games we used to play with his beautiful glass marbles and my clay marbles. In the afternoon when the kitchen was quiet, I was ordered to take Aleksei a snack and keep him company. Whoever thought Sophia, the kitchen worker, would be allowed to hold the hands of Aleksei Nikolaevich, heir to the Russian throne? Whenever I would visit him I would take milk, cinnamon bread, jam, and marbles. As soon as he finished eating we would play games. These visits were wonderful. Soon after I started working for the Romanoffs, Aleksei and I became great friends. His parents, Tsar Nicholas and Tsarina Alexandra, encouraged our friendship, so the afternoon visits became a routine. We had to play quietly because Aleksei had hemophilia. I had been told that it is a serious blood disease. Aleksei had four sisters: Olga, Tatiana, Maria, and Anastasia who would sometimes play with us. I remember one cold afternoon we were shooting marbles into an empty milk cup, when suddenly there was a sharp knock at the door. Aleksei ran to answer it, hoping it was his father. When he opened the door there stood that filthy Grigory Rasputin. Rasputin was a special friend of the Tsar and Tsarina, and supposedly had magical powers. The Imperial Couple felt that these powers controlled hemophilia, so Rasputin was always welcomed. ​Aleksei told me that he did not like Rasputin because he was ugly and smelled bad. Rasputin gave orders that he was to examine Aleksei and that I should return to the kitchen. I quickly gathered the dishes on a tray and reluctantly said goodbye to my little friend. As I was walking down the long halls toward the kitchen I kept wondering why Rasputin fascinated the Tsarina. Was it because he could heal her son? I think he was an evil fraud. I well remember the time Aleksei was watching me bake bread at the winter palace. I received a message that Rasputin would join the family for dinner. Aleksei and I looked at each other and started laughing. We immediately knew I had to make another loaf full of hot spices. When it was time for dinner each plate was filled with fish, turkey, cabbage, potatoes, spiced apples, and a special slice of bread. While the family was talking and eating, Rasputin suddenly grabbed his throat and started drinking big gulps of cold water. His bread was so spicy that he could hardly talk. He called me to come to the table, grabbed my shoulders and said he had been poisoned. At the far end of the table Aleksei was trying not to giggle. I told Rasputin that no one in my kitchen would poison him or anyone else. He demanded that I sample his food. After taking small bites of everything, including the bread, he was reassured that he had not been poisoned. I quickly left the room, ran through the kitchen, knocking over a jug of milk, making my way outside to eat handfuls of snow. After that evening Rasputin ate fewer meals at the palace. Another palace visitor was Eugene Fabergé. Unlike Rasputin, he was an elegant gentleman and always so interesting. He was a royal craftsman and his family had made beautiful and unusual creations for the many Romanoffs. Every Easter the Fabergé family was ordered to design, create, and deliver an Imperial Easter Egg. They were full of jewels and delicate patterns. The special thing about each egg was the surprise inside. 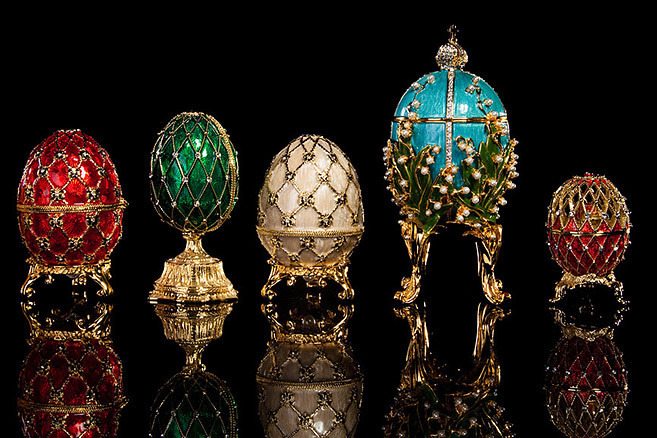 The Fabergés had complete control over these egg creations. The Tsar and Tsarina had no idea what the eggs would be like. The day before an egg delivery the palace was filled with joy. The servants were busy cleaning and cooking special foods. Little Aleksei watched out the window, ready to signal us when he caught sight of the royal automobile coming towards the palace. Preparing for this visitor seemed like a celebration. Eugene Fabergé was kind to everyone in the palace, but he seemed to have a special interest in my dear little Aleksei. Aleksei loved the Imperial Eggs and Fabergé loved telling how they were made. It was Easter, 1912, when Eugene Fabergé delivered my favorite Imperial Egg. We were staying at the Lividia Palace in Yalta and I remember hearing the Tsar say that Fabergé was traveling across Russia with the newest egg. We all knew he would be exhausted after his journey. His room was in order and we baked his favorite pies. When he arrived you would have never known that he had come such a very long way. As usual, his attention was focused on Aleksei. He held him in his lap while Tsarina Alexandra opened the new Imperial Easter Egg. Not only was the entire royal family there to see the new masterpiece, but the Tsar allowed the servants to watch as well. The egg was magnificent. It was blue lapis and gold. The surprise inside was a double-headed eagle with hundreds of diamonds that formed a miniature picture frame around my precious Aleksei. It was a double-sided picture. Not only could you see his beautiful face, but you could see the back of his head. I wanted to have the egg for myself and then I would have Aleksei forever, but all I have are my clay marbles. My life with the Romanoffs was always an adventure. I traveled to many places, and met unusual people. I was frequently in the company of five beautiful children. All I have to remember them by are my clay marbles and a tin box full of memories of my afternoons with Aleksei. Eugene Fabergé, The Romanoffs (Aleksei in front), and Grigory Rasputin. What do you know about Aleksei from this story? What do you know about his family? Support your answer with evidence from the text. If given the opportunity, do you think the narrator would rejoin the family? What evidence supports your position? What details or evidence in the text makes you think so? What are some of the concepts explored in the story? What evidence do you have to support your answer? When discussing literature, people recall specific details that are memorable or significant about the story. When discussing several ideas or details, people often group them into related categories. Classification helps identify what sets of ideas or details have in common. Using your lists of above, compare and contrast the narrator and Rasputin. How are they alike and how are they different? Using your lists of above, compare and contrast Rasputin and Fabergé. How are they alike and how are they different? Using your lists of above, compare and contrast the narrator and Fabergé. How are they alike and how are they different? When we develop experience as readers, we begin to move from the concrete details stated in the story to more abstract ideas that apply to larger categories of literature or personal experience. When you consider the story and the story teller, what generalizations can you make about the type of person the narrator is? ​and view the story and the questions side-by-side. As I looked through the cold April drizzle at the Great Blue Heron perched on the log, I thought, “God went all out on this one!” It was a foul day. The drizzle was cold, and everything reeked of swamp and decaying wood. I stared at the heron encircled in a wreath of Spanish moss. It was a perfect picture. I wished with all my soul that I would have a camera in my hands instead of a rifle when I looked down. It didn’t happen and I was thinking of a way out of the situation, when my father interrupted my thoughts. My pa was touchy because he knew that if I let this shot slip, it would be a lot of money down the drain. Reluctantly, I raised the sight to my eye, not wanting to spoil the view. Hesitantly, I aimed, shut my eyes tightly, and fired. I heard the shot ring out, and I prayed that God would forgive me for killing one of his creatures that is as beautiful as this. I never wanted to shoot any bird, but if I told my pa that, he would disown me. When I looked up, it looked as if an invisible hand had swiped the heron from its perch. My pa sprang up to get the prize. He carried it back and handed it to me so he could pat me on the shoulder. “Nice job, Jon! Clean through the eye!” The best I could give him in return was a quavery smile and a weak, “Thanks,” although praise from my father came about as often as a snowstorm in a desert. Pa didn’t notice the quiver in my voice, but kept on walking, talking about how I would become an excellent hunter one day, and how much money I was going to bring the family. As we headed home, I tried to clear my mind, but all I could see was the heron being knocked off its perch, and my pa showing me the bullet hole where the eye had once been. I was so engrossed in wallowing in pity for the bird that I nearly walked into the cypress tree next to our house. Pa called me into the barn to help with the evening chores. After the chores were done, Pa left me to skin the bird. It was then that I realized that the bird was a female, and it also was nesting season. Then the harsh reality hit me as hard as the bullet must have hit the heron; that poor mother had been luring us away from her nest. I went to bed with a sick stomach and tossed and turned the entire night with guilt. The next morning it was raining so hard that I could barely find my way to the barn to do my chores. I wondered if there were any chicks in the nest. 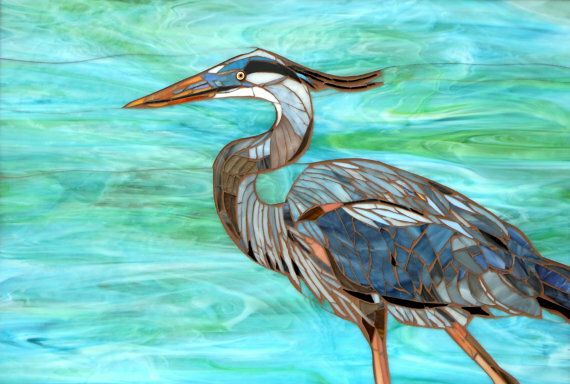 Concentrating on anything was impossible, as my mind kept wandering to the heron. I couldn’t even hear, and my parents grew worried. My mother took me into the pantry and looked at my tongue, turned my eyelid inside out, and made me swallow a spoonful of bitter, black medicine. After that, she put me to bed for the rest of the day. The next morning was beautiful, and after I had convinced my mother that I was healthy, I told her that I was going out to play. I stole some cornbread, and went to the place where I had shot the heron. The water was about a foot higher than it had been, and I traipsed all around the swamp, finding three small chicks in it. I leaned down to see if any of them were alive. Two were dead, but the third one twitched and squeaked. It gave such a weak cry that my heart almost broke. I stooped down, crumbled the cornbread in my hand, and mixed it with swamp water, so I had a type of cornbread clabber. As gently I could, I pried open the mouth of this chick, and poured the crude mixture down its throat. After I had forced the chick to eat, I took off my shirt and bundled the chick in it. The path home was rough, and it was a task of gargantuan proportion trying not to jolt the pitiful little thing in my arms. Once at home, I carefully snuck the baby bird into the warmest, driest, and most remote corner of the hayloft that I could find. I lay the chick in a little nest that I scooped out, and piled some hay up next to it, so it was completely hidden. The warmth of the stock beneath it, and the sound of the horses and cows chewing their hay, and the content snorting of the pigs put it right to sleep. I decided to name it Crest. The bird was quite safe there and for the next 4 weeks, Crest remained a secret. I snuck up to feed him 3 times a day when I was doing the chores. We quickly became friends, and he surprised me one day by stumbling around the loft, flapping his wings. This frightened me because if my pa ever came up and saw him stumbling around, there would be trouble. In the end, I had to resort to the cruelest measure of torture by tying his feet together and pinioning his wings. I was thankful that Crest was a quiet creature. My thankfulness didn’t last long. One day, 2 months after I’d first found Crest, Pa came in from the barn after feeding the horses, carrying in a struggling Crest by his legs. “Son?” he questioned me fiercely, “I heard a rustle in the hayloft, and went up there to find this!” Pa presented my bird triumphantly and shook it. My father hated any man that took pity on animals that could bring in money. “If he didn’t die then, he’s gonna die now!” He flung the bird on the floor and got his shotgun from against the wall. My mother ran out of the room, terrified. made a final lunge for him, and then black overcame me. I slipped in and out of consciousness for a week. When I finally woke up, I thought, “What a terrible dream!” I tried to roll over, but I felt white fire in my stomach. I groaned in agony. “So, it wasn’t a dream?” I whispered. My vision blurred, then cleared. My mother came toward me and pressed a cool damp cloth against my forehead. My father gently touched her on the shoulder, and she stepped aside. “I’ve been better.” I managed a feeble laugh. “I’m sorry.” His voice cracked, “So sorry . . .” My pa’s voice trailed off and he began to cry. That sight startled me, but I had to be strong now. “Jon, your father has something he wants to give to you.” Pa looked at my mother doubtfully, and she gave him a gentle push toward the door. He returned a few moments later carrying a bewildered Crest, and delivered him right into my arms. What are the reasons for Jon's father wanting to kill the heron? What are Jon's reasons for not wanting to kill the heron? Using your list of reasons from the details lists above, rewrite them in two categories or groups of related ideas, one "positive," one "negative." When you consider the story and the story teller, what generalizations can you make about the author's perspective about people who like to hunt, and people who do not like to hunt? When discussing literature, the order of events is important in understanding the plot or storyline. It enables readers to recall places where different decisions by the characters revealed their feelings or values. When discussing the chain of events or scenes in a story, earlier events often influence later events. The earlier decisions create a pattern so reader expectations and predictions are often confirmed, but sometimes a sudden change creates surprise. Why does Jon get a camera for his birthday at the end of the story? When we develop experience as readers, we begin to diverge from the plot or storyline to the more creative and abstract exercise of imagining other paths based on strong personal feeling or personal experience. Please answer at least three (3) of the "How" questions below, based on your personal choice. How would the story have been different if . . . Jon had missed his shot at the blue heron? How would the story have been different if . . . Jon had told his father about his feelings about hunting and photography before the crisis? How would the story have been different if . . . the father had shot Crest and not shot Jon? How would the story have been different if . . . Jon had not lived after being shot? How would the story have been different if . . . YOU had written it? Arachne, who lived in Greece during ancient times, was famous for her incredible talent in weaving cloth. She could make the most beautiful cloth in the entire land. However, Arachne was not a modest girl. She would walk through the city boasting about her incredible talents. Arachne would even tell people that she was better at weaving than the revered goddess Athena. Athena was not pleased by Arachne’s boasting. One day, Athena knocked on Arachne’s door. Arachne opened the door to find an old lady dressed in ragged clothes. She did not know she was really looking at Athena in disguise. The old lady pretended to be interested in buying some of Arachne’s cloth. Arachne let the old lady enter. Immediately, Athena, disguised as the old lady, started criticizing Arachne’s weaving, saying she could do much better. Insulted, Arachne challenged the old lady to a weaving contest. After accepting the challenge, Athena emerged from her disguise. Arachne was not at all frightened by the prospect of a weaving competition with Athena; Arachne was completely convinced she would win! Both Arachne and Athena spent hours weaving beautiful cloth. Athena’s cloth was spectacular. She had woven a picture of the gods performing their many wonderful deeds. Arachne’s cloth also portrayed the gods and was equally stunning. However, Arachne’s cloth portrayed the gods at their weakest moments, displaying their worst behavior. Athena was furious. She could not believe Arachne had the audacity to insult the gods. Athena complimented Arachne on her amazing weaving talent and told her she would be justly rewarded for her gifts. Arachne felt her head begin to shrink and watched in horror as six furry legs sprouted from her body. Athena told her to enjoy spending the rest of her days weaving all she wished. Compare (find common traits) and contrast (find different traits) exhibited by Arachne and Athena in the story. Why did Arachne, a human, try to out-weave Athena, a goddess? What details or evidence in the text makes you think so? Experienced readers can often identify a theme--the meaning, feeling, or message--that may be stated clearly or left hidden by the author for readers to discover. What moral could we learn from this myth? Please support your answer with evidence from the text. List 8 ways Arachne's life might change now that she is a spider. Start with eight, but list as many as you can in about 2 minutes. Using your list of at least 8 ways Arachne's life might change, create labels for common categories or groups of related ideas. When you look at your list and the categories you have created, what is one big general idea (or generalization) most of them have in common? A slave named Androcles once escaped from his master and fled to the forest. As he was wandering about there he came upon a lion lying down moaning and groaning. At first he turned to flee, but finding that the Lion did not pursue him, he turned back and went up to him. As he came near, the lion put out his paw, which was all swollen and bleeding, and Androcles found that a huge thorn had got into it, and was causing all the pain. He pulled out the thorn and bound up the paw of the lion, who was soon able to rise and lick the hand of Androcles like a dog. Then the lion took Androcles to his cave, and every day used to bring him meat for his survival. But shortly afterwards both Androcles and the lion were captured, and the slave was sentenced to be thrown to the lion, after the latter had been kept without food for several days. The Emperor and all his court came to see the spectacle, and Androcles was led out into the middle of the arena. Soon the lion was let loose from his den, and rushed bounding and roaring towards his victim. But as soon as he came near to Androcles he recognized his friend, and fawned upon him, and licked his hands like a friendly dog. The Emperor, surprised at this, summoned Androcles to him, who told him the whole story, whereupon the slave was pardoned and freed, and the lion let loose to his native forest. When discussing written work, television, and movies, we often refer to plot, the cause-and-effect chain of events; setting, the time and place; character, individuals taking action or being affected by events in the story; and point of view, the way the story is told from a single character's or many characters' observations. Being able to identify and analyze literary elements enables readers to compare and contrast different written works and appreciate deeper and richer storytelling. How would you describe Androcles as a character? Please support your answer with evidence from the text. When discussing a story or work of art, people will often draw conclusions beyond the facts stated in the story. Inferring based on reasoning and experience helps make a story or work of art more meaningful by looking for clues about the author's or artist's mindset. Why doesn't the lion eat Androcles? Did it surprise you that the lion spared him? Why or why not? When discussing literature, television, theater, movies, or music, people often identify a theme--the meaning, feeling, or message--that may be stated clearly or left hidden for readers, viewers, or listeners to discover. Aesop's fables are a genre wherein the short story, often including animals, illustrates a lesson about behavior and choices in life. The lesson is the theme of the story. Write a moral for the fable. Explain why your moral is appropriate, providing evidence from the story to defend your answer. Aesop's fables were originally transmitted, or shared, with listeners by storytellers long before they were written down. This creates variations in the story over time. A paraphrase is a rewording to help readers or listeners understand better by using familiar word choices and may be as long as (or longer) than the original message. How would you rewrite the following quotation in your own words while still giving the readers a storytelling experience? "But as soon as he came near to Androcles he recognized his friend, and fawned upon him, and licked his hands like a friendly dog. The Emperor, surprised at this, summoned Androcles to him, who told him the whole story, whereupon the slave was pardoned and freed, and the Lion let loose to his native forest." There are times when readers and writers interested in a topic communicate by giving a brief statement describing the most important message without providing details. When we summarize, the message is short and to the point. 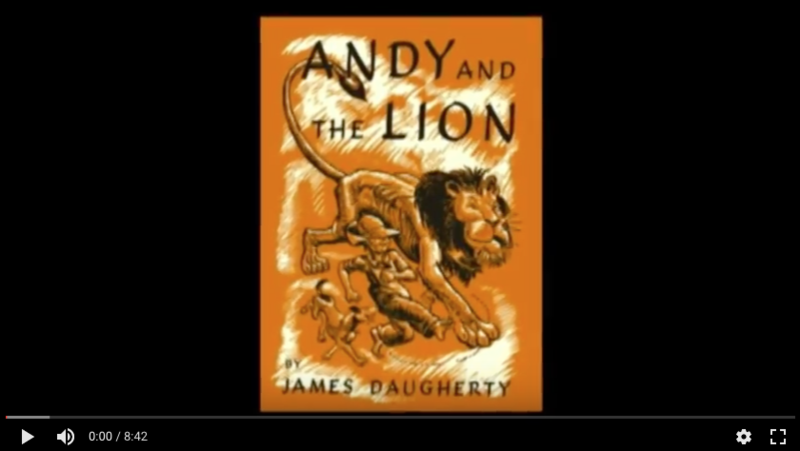 In a single sentence, write the main idea of the fable of "Androcles and the Lion." Then explain briefly (no more than 2 sentences) why you chose this idea from the story and left out others. We often discuss creativity as the ability to imagine something new that did not exist before. Synthesis is the action of combining different ideas or objects that already exist so they now do something different, or do the same thing in a new or interesting way. Write another fable, still using the main idea you summarized for "Androcles and the Lion," but now using characters and a setting of your own choice. You may borrow from stories or fictional worlds you already know and enjoy, or create from your own imagination. AN OLD WOMAN, having lost the use of her eyes, called in a Physician to heal them, and made this bargain with him in the presence of witnesses: that if he should cure her blindness, he should receive from her a sum of money; but if her infirmity remained, she should give him nothing. This agreement being made, the Physician, time after time, applied his salve to her eyes, and on every visit took something away, stealing all her property little by little. And when he had got all she had, he healed her and demanded the promised payment. The Old Woman, when she recovered her sight and saw none of her goods in her house, would give him nothing. The Physician insisted on his claim, and as she still refused, summoned her before the Judge. The Old Woman, standing up in the Court, argued: "This man here speaks the truth in what he says; for I did promise to give him a sum of money if I should recover my sight: but if I continued blind, I was to give him nothing. Now he declares that I am healed. I on the contrary affirm that I am still blind; for when I lost the use of my eyes, I saw in my house various chattels and valuable goods: but now, though he swears I am cured of my blindness, I am not able to see a single thing in it." What do you think the judge will do in this case? Why? Please provide evidence from the story to defend your answer. What does the old woman mean when she says, "but now, though he swears I am cured of my blindness, I am not able to see a single thing"? Please provide evidence from the story to defend your answer. What is the moral of the this story? Please give a reason why you think so. Create a new title for this story. Give a reason why your title is better than the original title. Ladder Drill exercises are intended to develop your talents for interacting with and getting the most out of the literature you read. We will discuss fables, short stories, nonfiction articles, and poetry, beginning with the text "as it is," then looking at it from different perspectives using a variety of literary tools. As a parallel, astronomers use a variety of imaging tools to better understand data collected by the Hubble Space Telescope. They use it to understand the sequence of star formation and to predict likely events in our Sun's future. Astronomers study several galaxies to understand larger patterns and classify formations. They collect data about temperature, density, energy, and chemical composition to make generalizations about elements common to all stars and others that are unique to certain types of stars and the stages of their life cycles. Near Galactic Cluster 1512 in visible light. 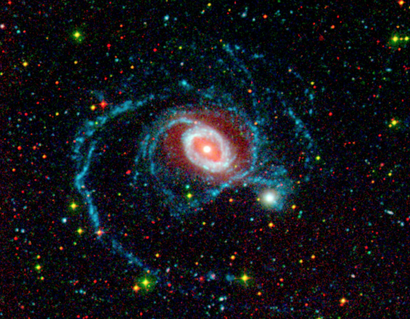 Astronomers classify galaxies by their shape; NGC 1512 is a barred spiral, which we think is similar to our own galaxy. In order to better understand the Milky Way galaxy from the inside out (usually represented by NGC 6744, M81, or the Andromeda Galaxy in art and entertainment), astronomers study the formation of the galaxies we can observe from the outside in. 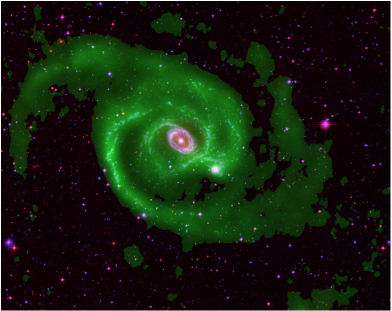 ​An image of NCG 1512 in the infrared spectrum helps astronomers understand temperatures of distant stars making up the galaxy. This helps in inferring how close together stars are and their size. ​An image of NCG 1512 in the x-ray spectrum helps astronomers understand the density of matter making up the galaxy, including dust and gases that have not formed stars or other bodies. 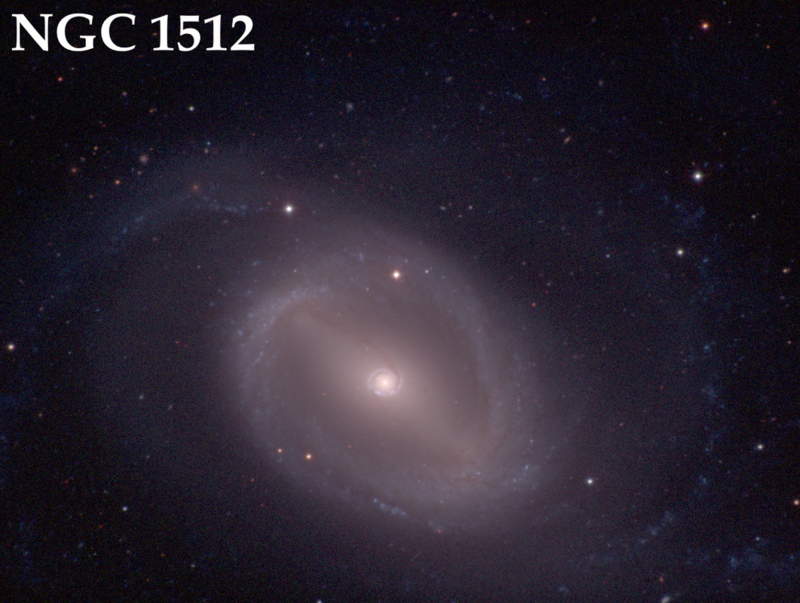 ​An image of NCG 1512 in the ultraviolet spectrum helps astronomers understand the chemical composition of distant stars making up the galaxy, which is helpful in determining the likely age of the stars. 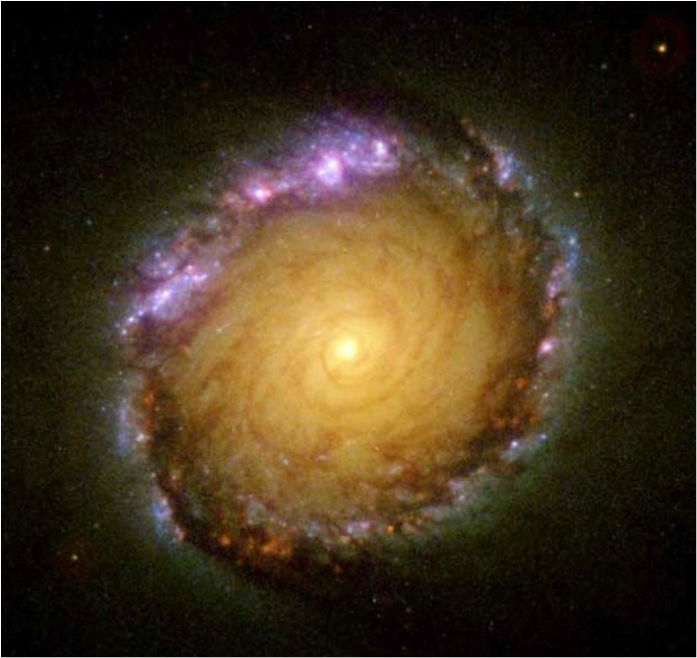 A close-up magnification of the visible light given off by the inner ring of NGC 1512. Using different lenses and filters, astronomers pick up details that they may have previously missed. The study of stars using different lenses, sensors, and filters helps astronomers understand the universe better and create a more accurate model of what is happening around us. Each time you use the tools of literary analysis to better understand a new story, it gives you added experience in the craft of writing and communication to add to your personal knowledge. Each analysis of quality literature has the potential to make your own writing and storytelling skill more powerful. Mrs. Jennifer Hethcox and Mr. Kevin Durden.